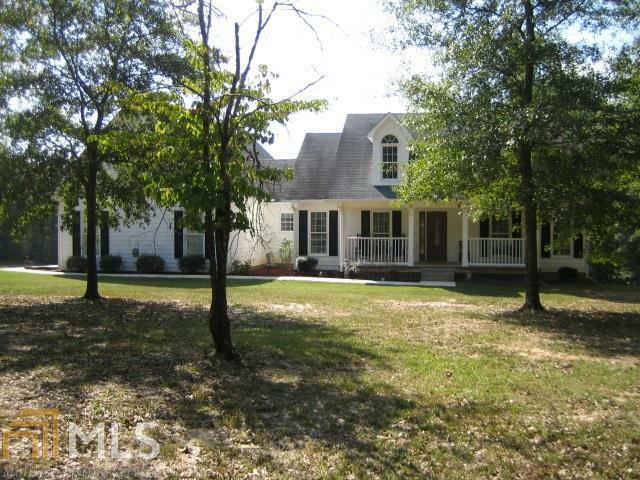 CUSTOM BUILT HOME ON 16.15 ACRES IS EVERYTHING YOU NEED. HOUSE FEATURES HARDWOOD FLOORS WITH AN OPEN FLOOR WITH. LIVING ROOM HAS A FIREPLACE YOU CAN NOT ONLY ENJOY FROM THE LIVING ROOM BUT KITCHEN AS WELL. LARGE MASTER BEDROOM WITH TREY CEILINGS. MASTER BEDROOM OPENS UP TO THE SPRAWLING ENCLOSED DECK THAT OVERLOOKS THE BEAUTIFUL 16 ACRES. PLENTY OF ROOM TO EXPAND WITH THE UNFINISHED ATTIC THAT HAS PLUMBING AND ELECTRICAL PROVIDED. THE FULL BASEMENT CAN ALSO BE FINISHED WITH ONE ROOM ALREADY DONE FOR YOU. THERE IS ALSO A 32X60 SHOP WITH BATHROOM AND ALL THE AMENITIES YOU NEED FOR WHATEVER TYPE OF HOBBY YOU MIGHT HAVE. COULD EVEN BE TURNED INTO EXTRA LIVING SPACE. THIS HOME IS TRULY A GEM. ALL FURNISHINGS AND TRACTOR ARE NEGOTIABLE AS WELL. COME TAKE A LOOK.